To take advantage of the latest technological advancements, any business should have a fast and reliable broadband connection. Here at Midshire, we offer a range of superfast broadband packages to suit any business. We endeavour to provide cost-effective broadband packages, suitable for your needs now, and in the future, as your business grows. Our business broadband packages are ideal for a business of any size, and our solutions are tailored to your business needs, ensuring you’re paying for exactly what your business needs to succeed. With over 13,500 installations across the UK, you can be sure that Midshire is a name you can trust. Our support team and engineers are on hand to provide excellent customer support and technical assistance to ensure that your broadband is online and reliable. That’s why at Midshire, we believe we offer the best broadband for your business. What is the best broadband for your business? Here at Midshire we offer a range of broadband solutions and are here to help when it comes to choosing the right broadband for your business. Depending on the type of business you’re running, your broadband needs will vary. 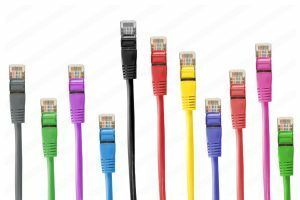 In the tabs above there are some guidelines and suggestions on which type of broadband is best for your business. Working from home is becoming a more popular and feasible option as technology develops. Whether it’s just for connecting to the main office or you run your business entirely from home, a home business is reliant on a good internet connection. The best broadband for your business is one with unlimited downloads, and as such Midshire would recommend Superfast FTTC Broadband. This broadband is best for your business as it offers superfast speeds, as well as stable upload and download streams. With the presence of mobile devices and tablets being everyday items, often offering Wi-Fi to customers is an advantage in any restaurant or café. Superfast FTTC broadband is ideal for this type of business as unlimited downloads are essential for a large amount of internet traffic, and a fibre connection means that multiple people can use your broadband at one time, without slowing down internet speeds. However, if you’re not offering customers use of Wi-Fi, a better solution for your business would be ADSL broadband. Broadband connectivity is often an essential for small offices, providing internet access for all employees. 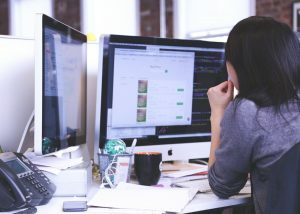 Superfast FTTC broadband is ideal for small businesses as a basic connection is needed for general web-browsing, emails and low data usage. If your business relies heavily on the speed of your internet connection, Midshire Ethernet Leased Lines are the perfect solution for your business. For larger offices often FFTC broadband is not enough, as such an ethernet leased line is the best broadband option for your business. A leased line with superfast speeds means that your business is always online as if there’s a fault in the line your internet connection is maintained. As well as far greater reliability, Ethernet Leased Lines also have the added advantage of a more reliable connection speed. As such, this broadband solution is a popular choice amongst businesses which are looking to integrate all voice and data traffic in an office.